Bullion Gold Coins – what are they? These are coins which are issued annually, often by government mints, which are not intended for circulation but simply to allow individuals to own and trade gold in a convenient form. Traditional gold bars, as stored at Fort Knox and other national repositories, weigh 400oz and are simply too heavy and valuable for day to day purchases. They are used by banks and countries to transfer value in the millions of dollars. In contrast, bullion coins are small, easily portable and usually attractive objects which can be collected, stored or given as presents. 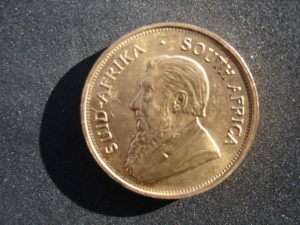 It was South Africa which introduced the first 1oz bullion coin, the Krugerrand, in 1967, and all the other modern bullion coins which feature in this site (like American Gold Eagles, Canadian Gold Maples, or Chinese Pandas) are copies of that successful idea. Of course, there are now small gold bars available to purchase, from 1g in weight upwards, but these are not usually issued by official government mints and are not as attractive or as easily identifiable and trustworthy as bullion coins. Though many of these bullion coins will have a currency value stamped on them like normal coins (for example, the Americal Gold Eagle has a face value of $50) the actual value of the coin is the current spot price of gold, plus a premium of at least 3% and often up to 15% or more. So the value of the coin will fluctuate, like most investments. The face value gives a coin legal status, and makes it legal for its owner to carry it to or sell it in other countries. Moving pure bullion is often more restricted. When you buy a gold bullion coin you are trusting that the price of gold will continue to rise over the coming years and your investment will increase in value in the long term. Its easy to check the value of your coins as the current price of gold is published every day in newspapers and online news sites. 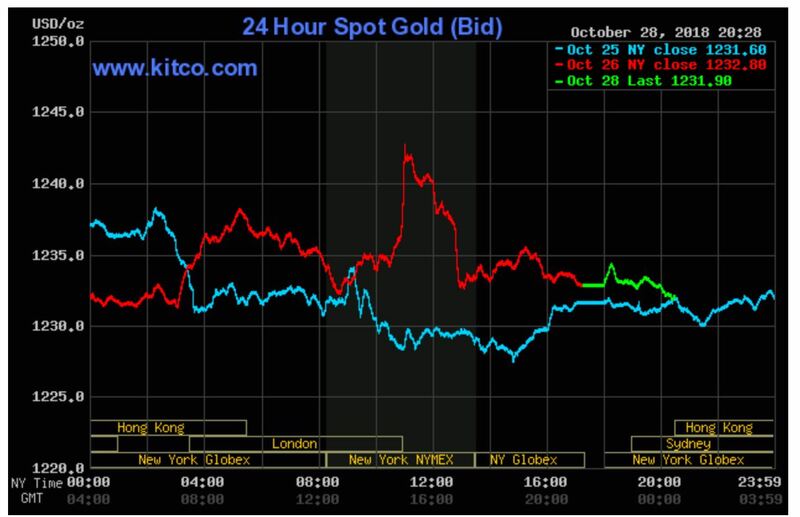 The price is always quoted for 1 troy ounce of pure gold – this is equal to 31.1034768 grams. As the years have passed, some bullion coins have attained a small collector value, as the coins are dated and many people like to collect sets based on their date. The mints also usually offer ‘proof’ versions of the bullion coins, which have a highly polished or mirror-like finish and should never be handled. The premium on these proof coins is sometimes simply ridiculous, though dealers will tell you that they are still good investments. The other type of gold coin you can purchase is a historical or ‘obsolete’ gold coin, which will have a large numismatic or collector value in addition to the value of its gold content. These are the coins with romantic names like ducat, guilder, sovereign, liberty cap, coronet head, indian head, St Gaudens, corona and so on, which were actual high value circulation coins before all countries went off the gold standard. There are now no gold coins being issued anywhere for circulation, as gold is simply too valuable. Though you can get bargains, historical gold coins have a large premium on top of the current price of gold, based on their rarity, their physical condition or even on their popularity for collectors. To avoid paying too much for collector coins, it is important to study the market for a while before jumping in, and remember that the best resources are not necessarily online. In the old days things called ‘books’ made of leaves of paper bound together, were used for the distribution of information. Also, to assess the value of an old coin, at the very least you need to know its gold content, technically its Actual Gold Weight or AGW. Such circulation coins were often mixed with other metals (usually silver or copper) to make them harder and less easy to damage, so you actually need to know the weight of the coin and the proportion of gold it contains to estimate its AGW and so its gold-only value. 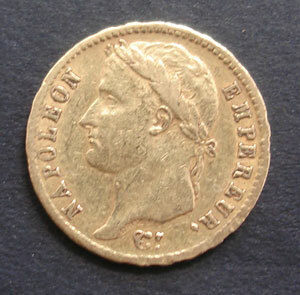 If you are only interested in the gold content, some historical coins have a much lower premium than others. 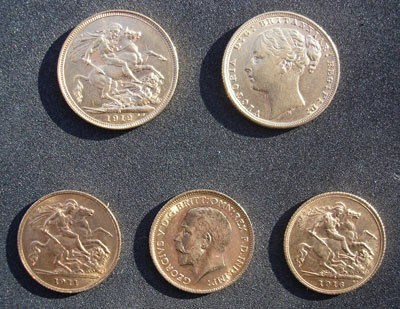 For example, British sovereigns were issued in their millions, can be bought almost anywhere, and usually attract much less of a premium than other, rarer gold coins. Sovereigns are also interesting because they are now being reissued, and feature the current monarch – this is being done for collectors and investors in gold, rather than for circulation or trade.